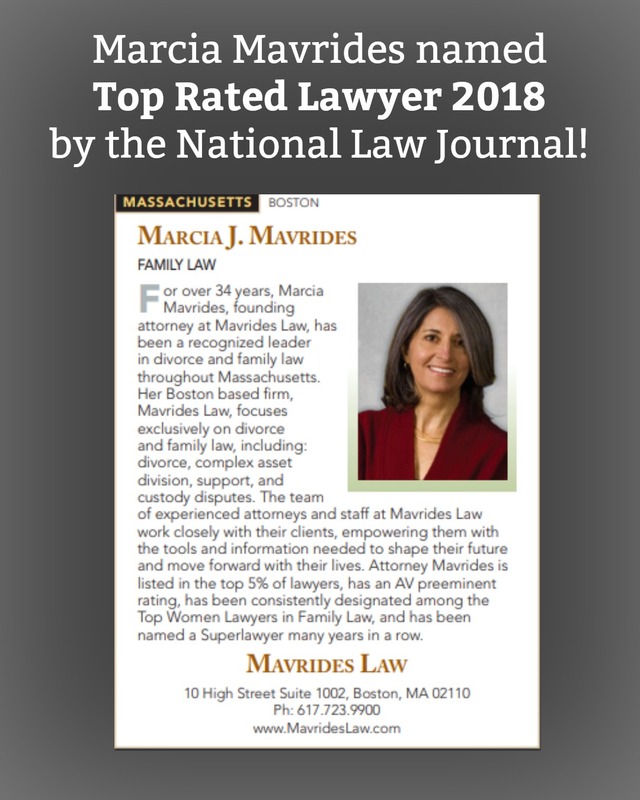 Congratulations to Marcia Mavrides on being named a Top Rated Lawyer 2018 by the National Law Journal! issues and legal news for the business and private sectors. Attorney Mavrides owes her success to her ability to work closely with each client, helping them toward a comprehensive and clear understanding of the legal process and its impact on their lives. See the press release in the Boston Herald, here!